Perhaps you've noticed that we have a little bit of a love affair with labradorite. It's one of our very favorite stones due to it's versatility and the fact the it looks like a tiny galaxy when you hold it up to the light. Another thing we adore is mixed metals. 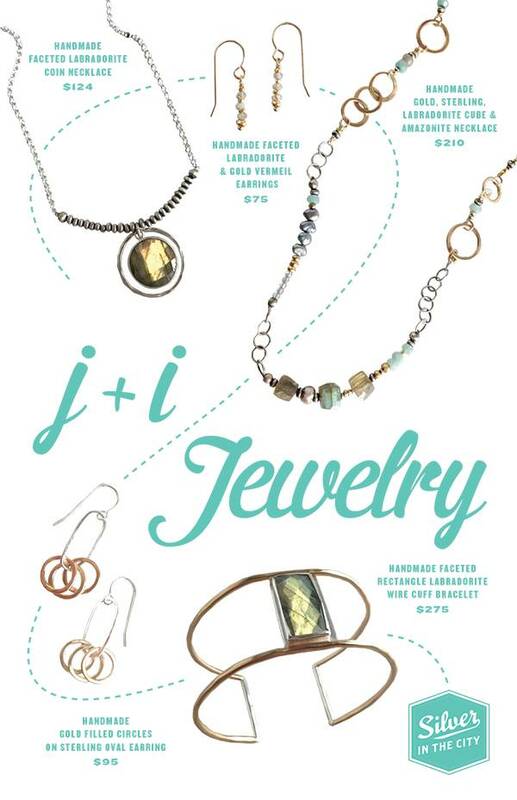 So naturally, J&I Jewelry has been one of the jewelry artists we've carried faithfully for a number of years. Their ability to marry the two makes our hearts flutter. If you too are mesmerized by these labradorite pieces by J&I and would like to add a gorgeous new necklace or ring to your collection, pop on by either of our locations and we'll help you pick out the perfect piece.